Pack 99 has one monthly meeting of all Scouts (all den levels). This meeting is usually held at 7 p.m. on the last Friday of each month during the school year and lasts roughly an hour. This meeting is when achievement badges and/or pins are presented. Dens meet 2-3 times per month during the school year. Den meetings typically begin at 6 p.m. at the St. Thomas More Scout House. View the schedule to find your grade's den meeting night. These meetings cover the basic achievements required to advance to the next rank at the end of the school year. Depending on time allowed during the meetings, additional achievements may be completed at home. Pack 99 organizes two family-based camping trips during the school year, one in the fall and the other in the spring. The camping trips are usually two nights, Friday through Sunday, and take place either at a Texas State Park or BSA camp site. Each Cub Scout must be accompanied by a parent or adult guardian. The whole family is invited to attend. Camping fees are collected separately from Scout dues, and are assessed per campsite, not per person. 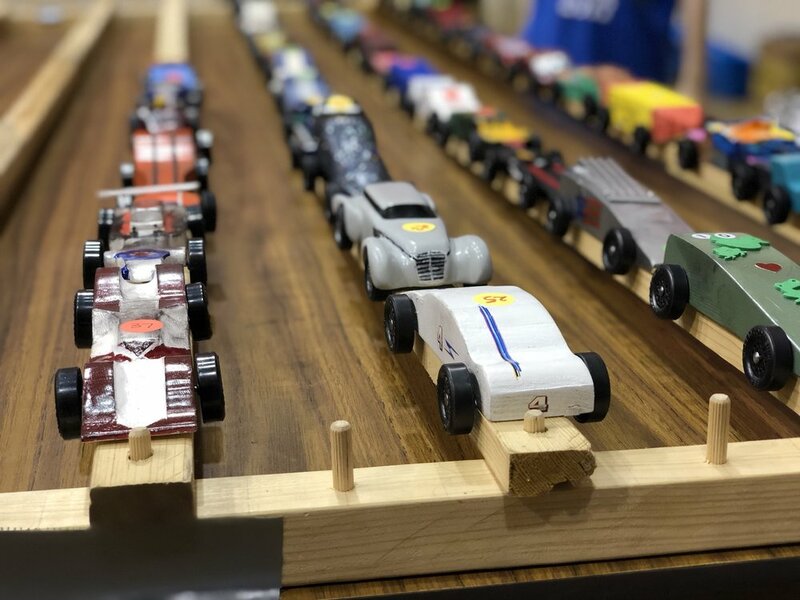 We have an annual race of Pinewood Derby cars that are built by our Scouts. Awards are presented for fastest car, best design, slowest car, most patriotic, and most scout-like. We have one annual banquet for Pack 99 in the spring where we celebrate our Pack achievements and have dinner together. Our traditional cake decorating contest supplies dessert and friendly competition. We typically distribute Pinewood Derby trophies at this banquet. Pack 99 supports St. Thomas More School and our local community with several service projects during the school year, such as a food drive and other fun activities. Our annual popcorn sale fundraiser in the fall raises the majority of funds that we need to run the pack for a year. Every year, we collect hundred of donated food items for Scouting for Food, a council-wide service project to care for they hungry and those in need. Pack 99 organizes an annual pool party at the Maplewood South/North Community Pool. Kayaks are welcome! Every year our Scouts participate in the annual 4th of July parade in the Maplewood subdivision of Southwest Houston.